Time for the fun part, dyno testing! Before putting the AMG on our dyno, we needed to make a quick adjustment for our tests. 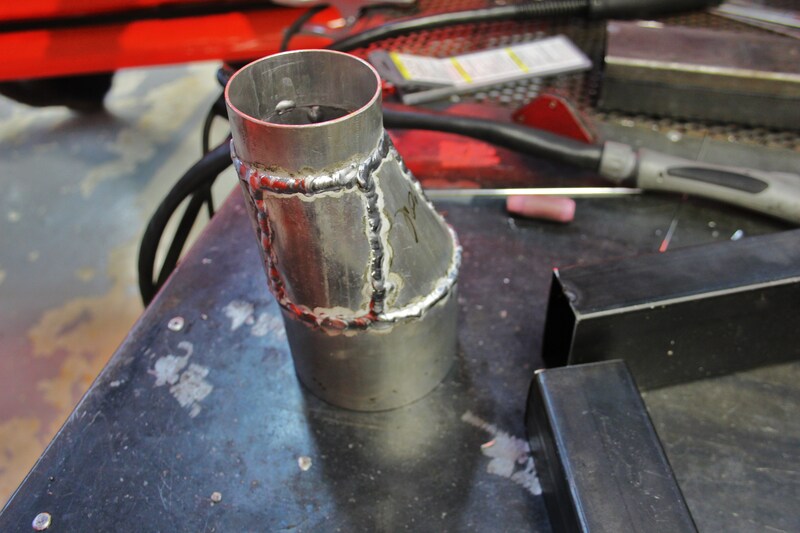 As mentioned in our previous posts, we created the inlet tube with our 3D printer for this intake, but with the close proximity of this component to the exhaust and turbocharger, we were a bit concerned with it melting or deforming during our dyno runs. 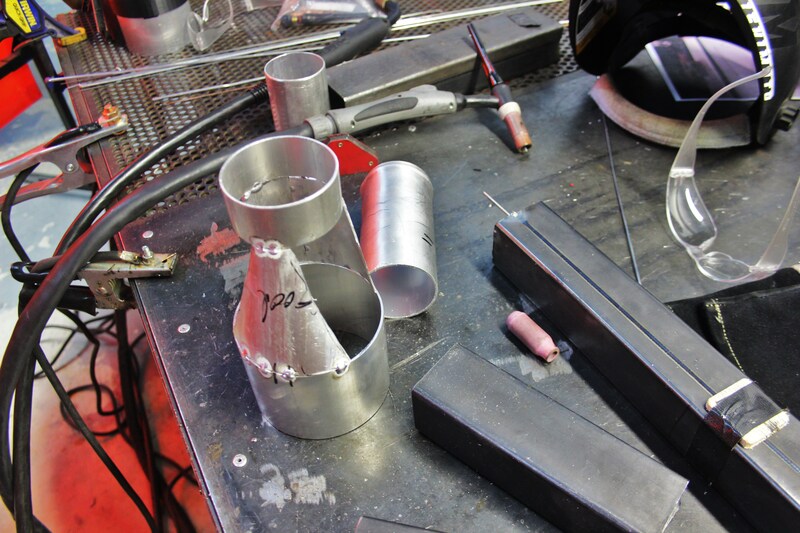 We decided to fabricate an aluminum prototype to better handle the heat. 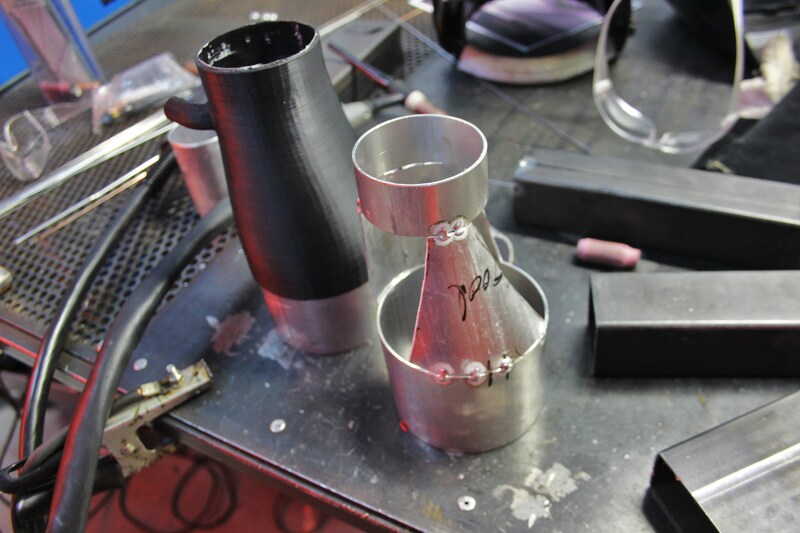 We started with some aluminum pipe and our template 3D-printed design. 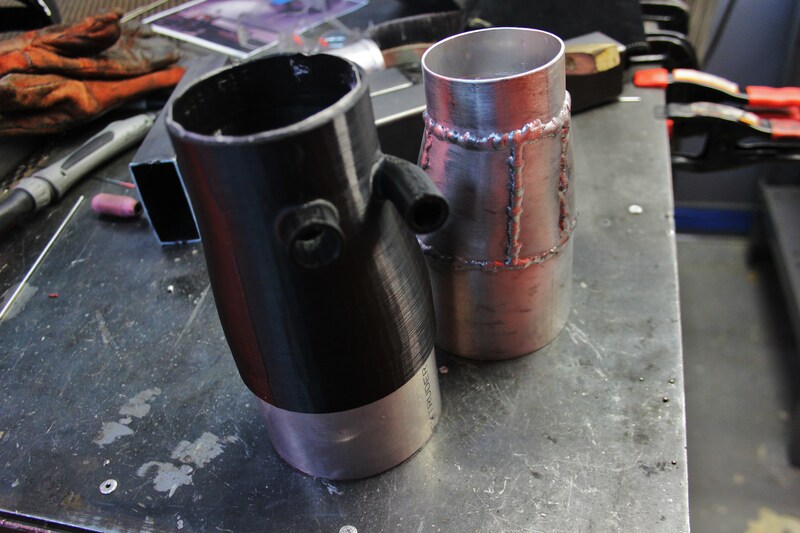 This project has created an interesting challenge for our engineers in terms of metal fabrication. 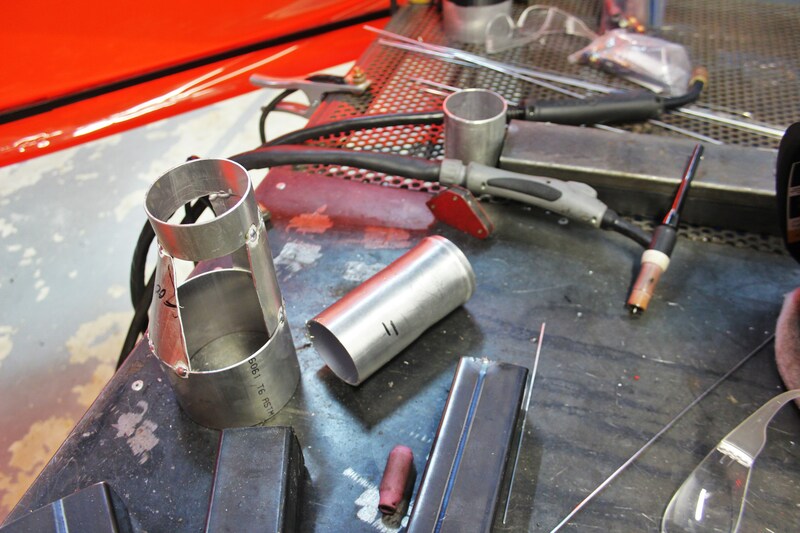 Our fully tacked aluminum inlet tube! 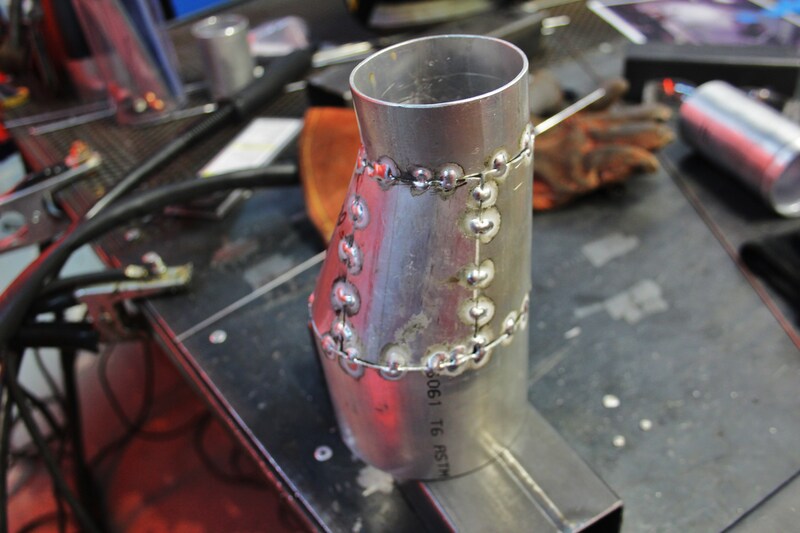 Once we verified all the dimensions, we welded all the seams. 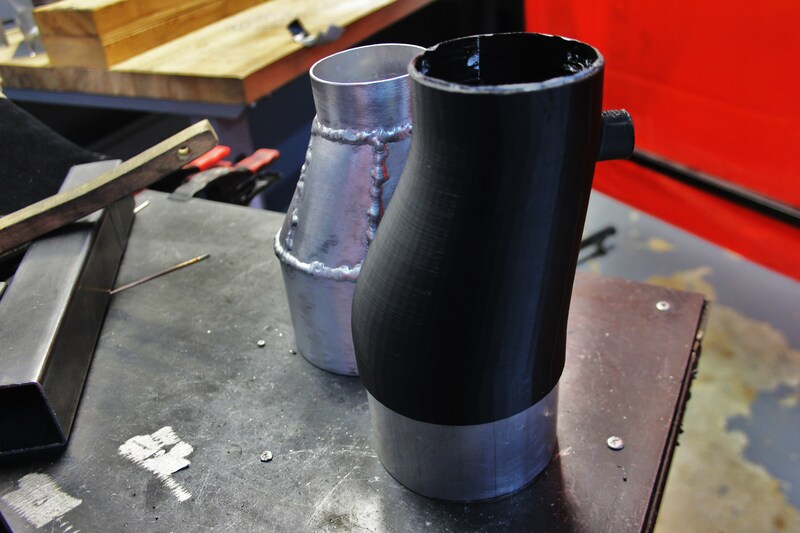 Check out a few comparison shots of the unit from our 3D printer and this fabricated piece. After completing this piece we attached our sensor housings and set this car on the dyno for some pulls. Below is a compilation video of pulls from our testing! Check it out! Although it is tough to tell from the audio, both induction and BPV noise volume is increased. Not only does it sound great, but we were able to put down some decent power gains. Another note, the burbling and popping stock AMG exhaust system is spectacular. We did not expect this on an OEM system and it’s pretty neat (although I am sure you guys know this). Testing is complete and we have a few charts to analyze the gains we saw in terms of horsepower and torque. First up, let’s check out the plot for horsepower gains. As you can see on the stock plot, the car builds power nicely through a majority of the power band but seems to fall flat at higher rpm, right around 5600 rpm. With our intake system installed, we were able to continue to build power all the way to 6200 rpm. Our intake allows for greater top-end power without sacrificing any power on the low end, which is great. Within this upper range we are seeing maximum gains of over 18 whp and peak gains of 13 whp. These are great numbers, especially for a vehicle already making nearly 350 horsepower at the wheels. 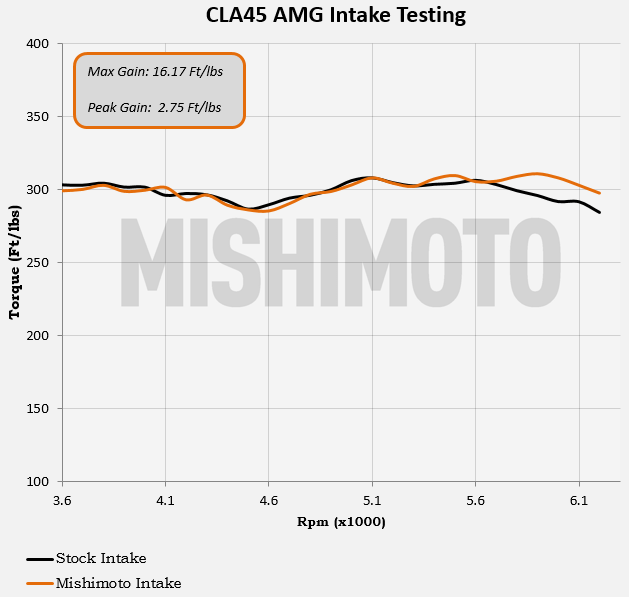 Keep in mind, this plot is an average of 3 consistent runs for both the stock and Mishimoto intake. Data is not skewed by pulling the highest and lowest run for comparison. We consistently saw the gains in this area of the power band. Additionally, we expect these gains to be even more pronounced on a vehicle with additional modifications and/or ECU tuning. Next up, a look at the torque output comparison. Similar to the last plot, gains are focused at higher rpm. In the case of torque, maximum gains came to 16 wtq and peak gains of close to 3 wtq. 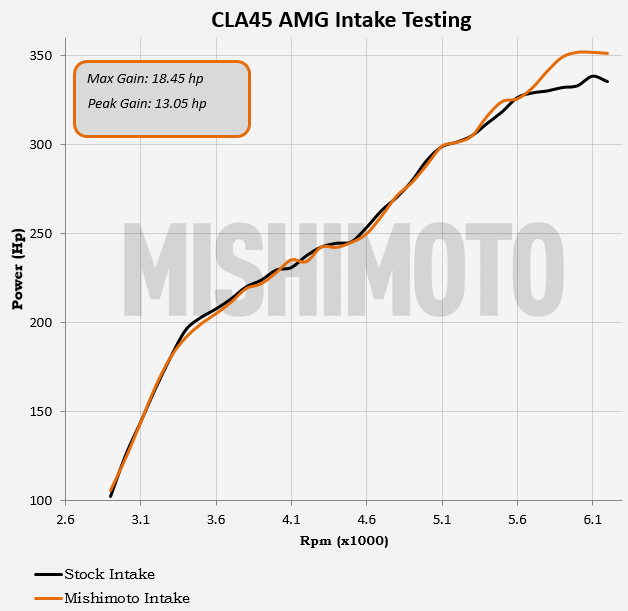 It appears that torque output peaks at around 5600 rpm on the stock intake while the Mishimoto Intake produces power until around 5850 rpm. Once again, we were pleased with these results. During each of our pulls, we monitored AFRs to ensure our intake system was not negatively impacting this vital engine reading. That essentially wraps up our project here. We have a final design as well as some positive testing data. 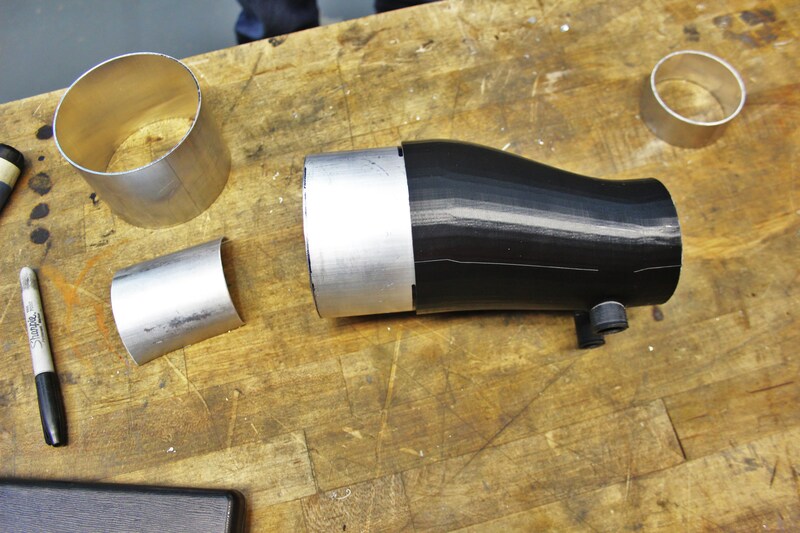 We are working up a final prototype to ensure product fitment and we should be ready to launch this intake very soon. Any interest in a discounted pre-sale for folks looking to pick up one of our first kits?